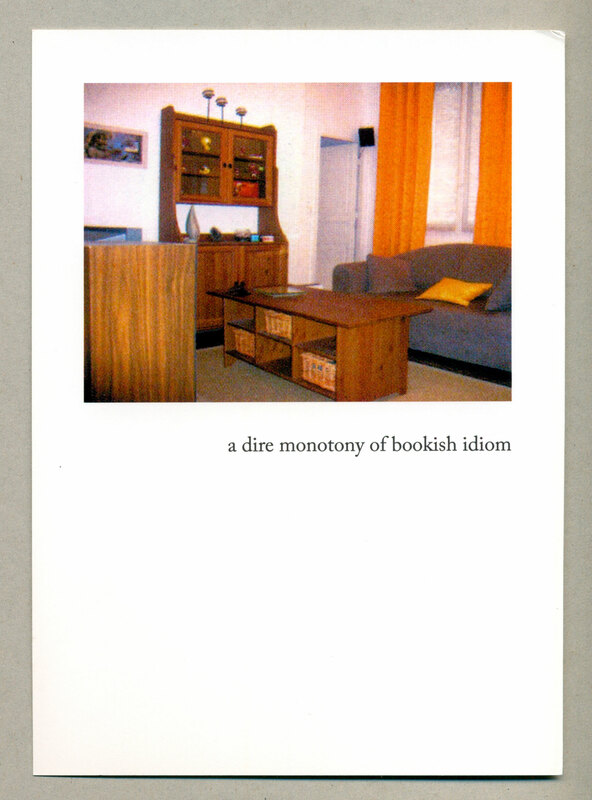 Interior Monologue pairs images of Parisian apartment interiors from a real-estate catalogue with texts found in the “literary phrases” section of Grenville Kleiser’s Fifteen Thousand Useful Phrases. 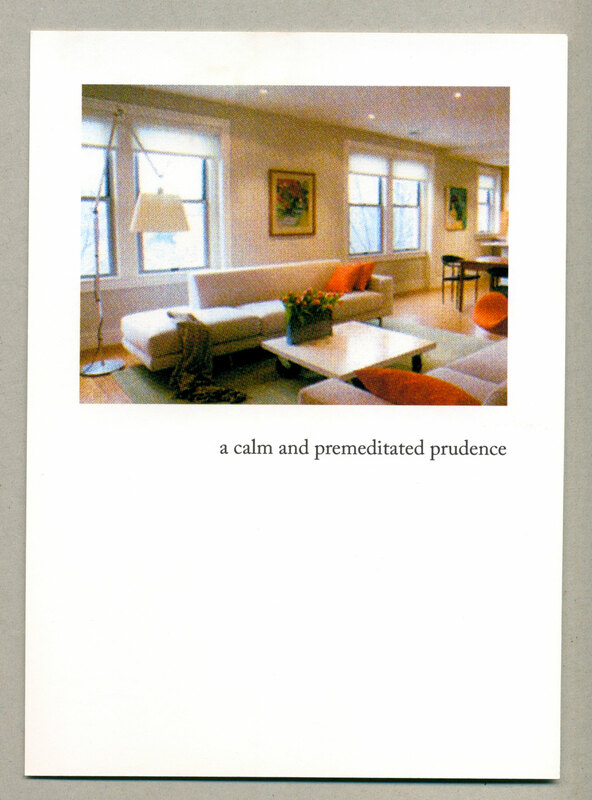 The project presents abandoned remnants of speech, paired to images that are likewise abandoned: orphaned photos from a real-estate catalogue, snapped by ever so many unidentified photographers. Texts and images look as though they are quite established on their pages, and in a healthy relationship towards each other. This soon proves false. Each element seems to be speaking for itself. The scripts do not function as descriptions; and no knowledge is gained from the information gathered. The development of a narrative is cut short on each page. Meanwhile the reader cannot avoid relating images and texts, and interpreting the images by means of the texts. Even if the combinations of texts and images are determined by chance: the phrases are in alphabetical order and the images are in the order that the magazine they come from presented them in. 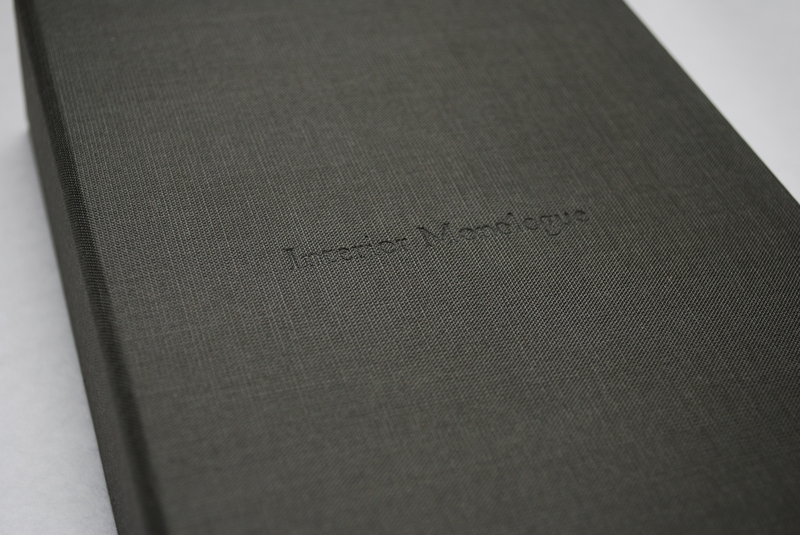 The edition consists of 128 single-sided sheets (12.7 x 17.8 cm) in a portfolio box. The sheets can be installed in several ways, see some installation views here. Edition of 20 + 1 AP, numbered. Priced at €850 plus shipping. Order through my webshop or through email. 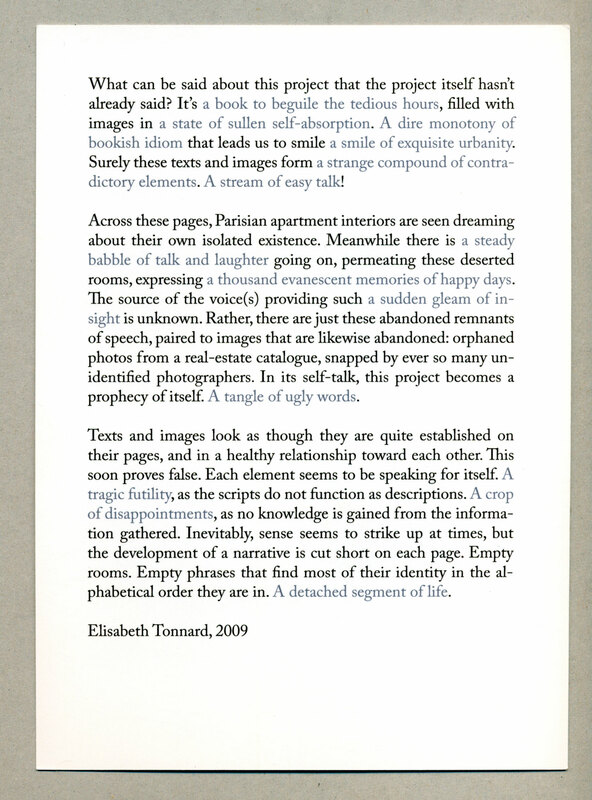 The edition is included in the collections of the Bayerische Staatsbibliothek, Bibliothèque Nationale de France, Centre Pompidou (MNAM/CCI), Columbia University, Jan Michalski Foundation for Writing and Literature, National Library of The Netherlands (Koninklijke Bibliotheek), Nederlands Fotomuseum, and The New York Public Library.